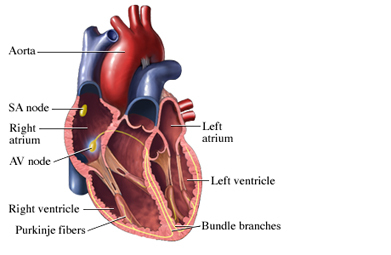 A heart murmur is a sound made by turbulent blood flow in the heart. It sounds like whooshing or swishing with each heartbeat. Some adults and many children have incidental heart murmurs that are harmless and are not caused by abnormalities in the heart. However, some heart murmurs can signal an underlying heart problem. Normal heart murmurs are more common in children 3-7 years old. Pregnant women are also at increased risk. Benign heart murmurs usually do not cause symptoms. People with mitral valve prolapse sometimes complain of vague chest discomfort and other symptoms. It remains unclear whether or not the valvular abnormality is causing the symptoms. If you think that you or your child has a heart murmur, call the doctor for an evaluation. Most benign heart murmurs are diagnosed during the course of a routine physical exam with a stethoscope. Some abnormal heart murmurs are also discovered this way. Other abnormal heart murmurs are discovered initially by their symptoms. Echocardiogram —to examine the size, shape, and motion of the heart. Your heart's electrical activity may be tested. This can be done with an ECG . Benign heart murmurs do not require treatment. Treatment of other heart murmurs depends on the underlying cause and extent of the problem. Get prompt testing and treatment for strep throat to prevent rheumatic fever. Eat a healthful diet with plenty of fruits and vegetables . If you have high blood pressure or diabetes, follow your treatment plan. Although not routinely recommended for every type of heart murmur, you may need to take antibiotics before and after some medical or dental procedures that could allow bacteria to enter your bloodstream. Ask your doctor if you need to take preventive antibiotics. Antibiotic prophylaxis. American Dental Association website. Available at: http://www.ada.org/en/member-center/oral-health-topics/antibiotic-prophylaxis. Update September 14, 2017. Accessed September 29, 2017. Heart murmurs. American Heart Association website. Available at: http://www.heart.org/HEARTORG/Conditions/More/CardiovascularConditionsofChildhood/Heart-Murmurs%5FUCM%5F314208%5FArticle.jsp#.Wc5%5Fb1tSxxA.Updated February 17, 2016. Accessed September 29, 2017. Heart murmur in children. EBSCO DynaMed Plus website. Available at: http://www.dynamed.com/topics/dmp~AN~T115809/Heart-murmur-in-children . Updated December 18, 2015. Accessed September 28, 2016. Heart murmurs and your child. Kids Health—Nemours Foundation website. Available at: http://kidshealth.org/en/parents/murmurs.html. Updated January 2017. Accessed September 29, 2017.